Just a few pics of my garden. No time for anything else at the moment. Sunday night — should be hitting the pillow. . .
. . .but I’m just not tired, yet. Sigh. I have such a long day tomorrow. Big sigh. It’s another round of negotiations with a mediator. Our last meeting was pretty productive so I’m crossing my fingers this one will be, too. But, I don’t want to talk about negotiations. We’ve had three solid days of rain, and, as much as we need it, I really wish it would stop. It’s been cloudy, cool and wet long enough. What we need now is some heat, that will really get things growing. I’ve still got bedding plants to get in — am hoping, hoping , hoping to get it all in this week. I’m behind on weeding and so need to really get out and spend a few full evening just plugging away at it. 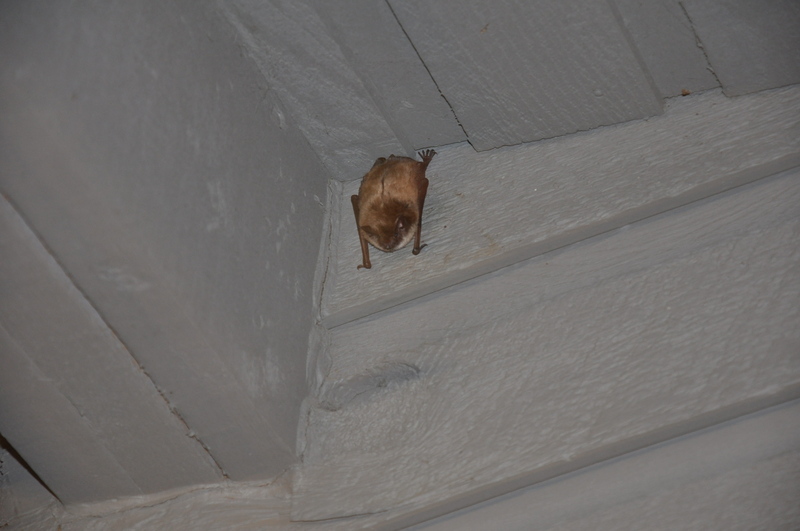 I don’t catch sight of him I think maybe he’s decided to uproot himself and find a better doorway over which to hang out. But, no! Happily, he decides to stay put. And boy, do we need him right now. The skeeters are atrocious. I’m looking forward to the end of this school year. Things seem strained at work. Can’t figure it out and I’m tired of thinking about it. I think we all just need a break. Winter was too long this year, and Spring hasn’t been all that wonderful, either. The last couple of weeks our temps have only made the high teens, and the forecast for the next week says more rain and cool. Had a great time taking care of my grandkids last night. Ethan, who was in bed before we got there, did not want to sleep, so I went and got him up. Seeing as it was a tad cool out and he was in his pj’s I didn’t want to let him outside where the others were playing. He wanted so badly to join them, that after the first time I told him he couldn’t go out, he went and got his little shoes and put them on all by himself (he’s 21 months old) and headed for the door again. Again, mean old gramma told him no. He went straight to his dad and started crying like his heart had been broken. Why not? He wanted to play with his sister and brother and cousin. It’s tough when you’re the littlest. So, he stayed out with me for about 45 minutes then we went back in, I gave him another warm bottle and off he went to bed without a peep. In fact, he had the sweetest smile on his face when I covered him up. Timothy was next, and when I tucked him in I read him one of Landon’s old books, Me and My Dad, by Mercer Mayer, in honour of the fact that it was Father’s Day the next day. We had fun looking for the spider and grasshopper on every page and he asked a ton of questions, just like Landon used to about why Little Critter was doing this or that, and why the dad was mad, etc., etc. Then I covered him up in his gazillion blankets, wrestled a kiss out of him and went down to spend some time with Hailey and her cousin, Aleah. We made popcorn and Tim entertained them with a bunch of his corny magic tricks. They were enthralled. It was all just too much fun. They squealed when he pretended to break an egg on top of their heads and laughed when pretended his fingers were linked together by magic. These are the moments that are magic to me. Vancouver lost — what else is there to say? I’m in tears, literally. I can’t believe my team lost. I am heartbroken. My husband keeps reminding me that this is just a game, but I can’t help it — I had my heart and soul invested in this game. I hate that Boston has won. They played dirty. The officials might just as well have been on their team roster. Injuring other players as a team strategy is a cheap strategy. There is so much talent on the Canucks team — that’s undisputed. I can’t for the life of me understand what happened to their heart. As much as I don’t like to buy in to conspiracy theories, I have to wonder if there isn’t something to the “Bettman wants the cup to say in the US” conspiracy. Boston being an ‘original six’ team and all, maybe that also had something to do with it. That’s the only thing I can think of that comes close to explaining what happened to their ability to shoot and score and play. I will be behind the Canucks again next year. Despite that my hometown team are the Oilers. The Canucks are Canada’s team — they proved that making it into the finals. I only hope they get a run at the cup again next year. I’m finally beginning to get over the tears. It is, in the end, as my husband tried telling me in the first minutes after our loss, just a game. Well, I’m trying hard to be optimistic, but let’s face it, Boston is out-playing the Canucks. The score is 3-0 after two periods of play. The last goal was a short-handed one. It should have never happened. Although I don’t like to criticize a player, I have to say that Ehroff is the weakest link on the Canuck’s lineup. Time after time he has flubbed the pass, he has let Boston’s offence get the jump on him. He is not, by a long shot the only problem the Canucks are having, but I’ve noticed over the last two games how weak he is on the D. I’d pull him. Kesler is playing like a pro, I love his heart. Daniel and Henrik are somewhat disappointing. I just don’t see the kind of magic that they are capable of coming through. In listening to the commentators it sounds like it’s a foregone conclusion that Boston has the cup. I’m going to pray hard for a comeback from the Canucks, for them to tie it up and take it overtime if need be. But, it’s a long shot. A very long shot. I’ll update this at the end of the game. As the entire world knows by now — the ‘boys’ lost last night. Of course, we knew they would. I wanted a different outcome — but that would have been rubbing dirt in Boston’s face. So what? is all I can come up with. The first period and four goals in 4 minutes — two of them scored within 35 seconds of each other — was a disaster. They pulled Luongo after he let in the third. Thank God. I was literally sick to my stomach. It was a tough game to watch, but I do have to say that the Canucks managed to pull themselves together enough to hold Boston at bay for nearly the rest of the game. When the Canucks scored their first goal I had the audacity to think that they could actually come back to tie up the game, send it into overtime and then win the damn thing! Ha! Stupid me. What they did instead was take two ridiculous penalties allowing Boston to score their 5th goal. Vancouver managed to get another one in the net, but really it was a lost cause, and I knew it. Still, like it was a train-wreck, I rubber-necked, unable to tear myself away. All the while hurling more epithets and curses at my poor television than even I thought I was capable of. My husband shook his head in wonder. “Remind me to never take you to a live game,” was all he said. I just glared. Personally, this is my theory on what happened last night: Luongo let in those three goals on purpose so that he could be pulled and allowed to rest up in preparation for the big game tomorrow night. See, they knew they couldn’t win in Boston’s house (sweet as that might have been) and so the strategy was to save Luongo and him rested and sharp for when the game returns to Vancouver. There are, absolutely, holes in this theory. Do I care? No! Does it explain why, at times, the Canucks seemed to be playing minor league hockey? Not one bit. Can it shed any light on why Luongo is seemingly so shaken by the Boston arena? Not one tiny ray of illumination. Again, care not, I do. All I care about is that I have an unwavering faith in this team and their ability to bring the Cup back to Canada. Me and approximately, 9,000,000 other viewers (not all cheering for the Canucks, I know) are so enthralled by this series that they gave up soccer games, sit-coms and serious book club meetings to catch the action. That’s just how good this contest is. Tomorrow is my last time of wearing the “We Believe” t-shirt. After they win tomorrow night I’m having it framed. Monday, June 13, 2011 — Could this be a day for hockey history? Well, we’re one game away from the Stanley Cup. Two games, if the Canucks don’t win it tonight. I’m thinking it’ll be tonight. But, then again, my predictions don’t normally pan out. So, it’s crossed fingers and the shirt with Henrik’s name and number on it today. I’ve got mad butterflies in my stomach and it’s only 7:13 a.m. Don’t know how I’m going to make it to 6:30 tonight. One thing is for sure; it will be a brutal game. The Bruins are going to be bringing their best street-fighting technique to the ice, and I’m sure Vancouver won’t be holding anything back, either. I don’t think there is any other sport on the planet that is as physically demanding on a player as hockey. The speed at which they have to move, the constant movement of their legs, the extreme upper body strength they must have in order to control the puck and ward off opponents while fore- and back-checking all the time, as well as the mental toughness it takes to compete in such an intense sport makes hockey a true gladiator sport. 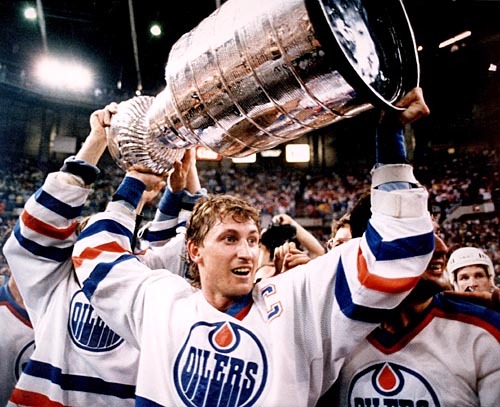 Wayne Gretzky hoisting hockey's greatest prize -- hopefully, Henrik will do the same tonight. Photo courtesy Google images. as they once did Gretzky, for shying away from the physical aspect of the game have taken their fair share of smashes into the boards, pucks to the body, sticks to the ribs and ankles all in the name of claiming first place and being able to hoist a shiny silver cup over their heads. I hope tonight sees the Canucks win, they deserve it. They’ve worked hard, played hard and put up with a lot of negativity and criticism to get to be one of the two best teams in the league. Hopefully, tonight, they get to claim they are THE BEST. It was a helluva game! and Vancouver came out on top. By one hard-fought, hard-won goal. LaPierre scored a beauty about 5 minutes into the 3rd period. I’m telling you, it was an amazing feeling to see that goal go in the net. Can they win in Boston? I hope so, but I’m not all that confident that they will. For one thing, the ice in Boston is terrible. The arena is too hot, and the officiating will be completely lop-sided, again. It was marginally better tonight, but not what you’d call completely fair. Boston seemed to be a little more disciplined tonight. Less goon hockey, more of the professional level of sportsmanship that we should expect tp see. Daniel and Henrik, Kesler, Torres, Burrows, Higgins — they all played spectacularly. I felt very proud watching them. And though much has been said about there being more Canadians on Boston’s team than on Vancouver’s, all I have to say is this: they’re not playing for Canada! I love this team — they will bring the cup home — I just know it. So, way to go boys — you did it! Just thought I’d share a few photos of my garden in Spring. I can’t begin to explain the overwhelming feelings of frustration and despair I experienced watching tonight’s game. It started out good — Kesler was feisty right off the first face-off, and I was all pumped for a spectacular win. Alas, it was not to be. The team just seemed to crumble as the 1st period came to a close. The Bruins, to their credit were out hitting, out checking the Canucks. However, they were also playing like a bunch of goons. The hacks, the slashes, the taunts, the shots to the head, the tripping — it was unbelievable. Or, well, I guess not, considering the fact that the officials in these games have chosen to continually look the other way — until a crucial moment in the game, and then they would blatantly favour the Bruins. I know there are people who will read this and say, yes, but it was the same with the Canucks. But, honestly, in my opinion, it was one-sided. And, I’m going to have my say about Rome’s hit on Horton. It was not a dirty hit. It was a hard hit. And it was awful to watch Horton laying on the ice with his arms straight out in the air before him, signalling that he had taken a severe injury to his brain. But Rome’s intent was not to injure, it was simply to finish his check. It was open ice and both players were skating very fast and very hard. When Horton hit the ice, his head took one hell of a knock. Thank God for helmets. I think the loss of both Hamhuis and Rome has seriously hurt the Canucks ability to perform effectively. Henrik is obviously playing hurt, as is Kesler, and Luongo has lost his confidence or his focus, something is wrong. As a team, they seem intimidated. They’ve allowed the Bruins to get inside their heads, and allowed them to shake them off their game. Henrik and Daniel need to step up and be the leaders they can be, and Kesler has to find a way to get the magic back. Burrows, Torres, Bieksa, Maholtra, they all need to ‘bring it’, and in a huge way. The next game is in Vancouver — home ice — and hopefully, being back in friendly territory will give the team the encouragement and inspiration they seem to be lacking right now. I’m not giving up on them. They’re still real contenders for the Cup — they wouldn’t be where they are if that weren’t true. So, I’ll keep washing my t-shirts and wearing them every day — until Lord Stanley’s Cup is back on Canadian soil. See those smiles? They'll be back! 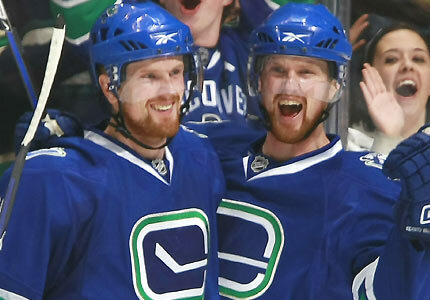 Daniel and Henrik Sedin Photo courtesy of Google images. Oh, dear Lord, I have no idea what happened, but it was terrible. 8 – 1 Boston. It doesn’t get anymore embarrassing than that. Apparently, I’m not very good at predicting outcomes. So, I’m going to go with a positive spin and say that I got it backwards. The boys will make a comeback. They’ll beat Boston on Wednesday and take the game home to Vancouver to finish them off. I’ll still be wearing my t-shirts. It’s only one game. Vancouver is still leading the series 2 games to 1. Let’s not lose sight of that.